Calling itself an ‘active listening’ device, Here promises to let you tune into the things you want and filter out what you don’t. It may sound silly or kitsch, but in reviewing here earbuds, I found it may not be. Two wireless in-ear buds and a charging/storage case are the physical manifestation of Here, but the hardware isn’t what really matters. After earning $635,189 via Kickstarter, Doppler Labs is bringing its concept to reality. Its vision is to give you bionic hearing, which can be a tricky proposition because we all hear and process sound differently. In a nutshell, Here creates selective noise cancelling and audio manipulation for the real world. If you were at a concert, you may want to hear that music in the same way your EQ is set at home. For those moments, Here is uniquely capable. Similarly, you may be on a long flight and want to drown out the engine noise, or tune out a crying baby. 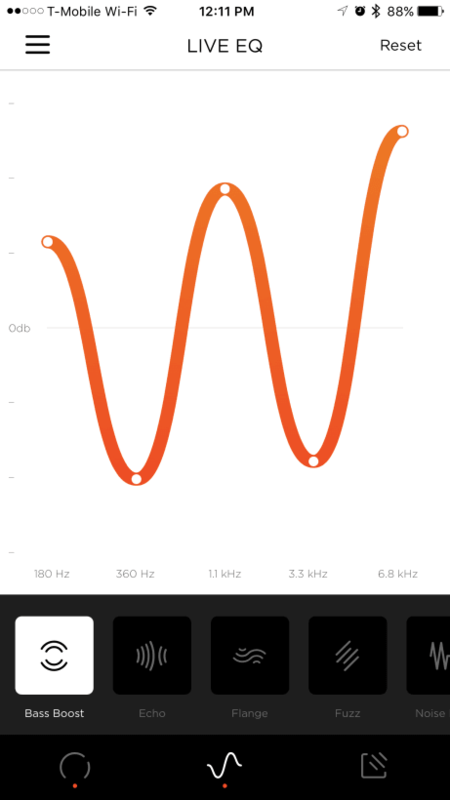 Via a companion app, Here lets you control exactly what gets to your eardrums — and how you hear what does. You’ll find a fairly standard EQ, along with presets for things like creating an echo or boosting bass. 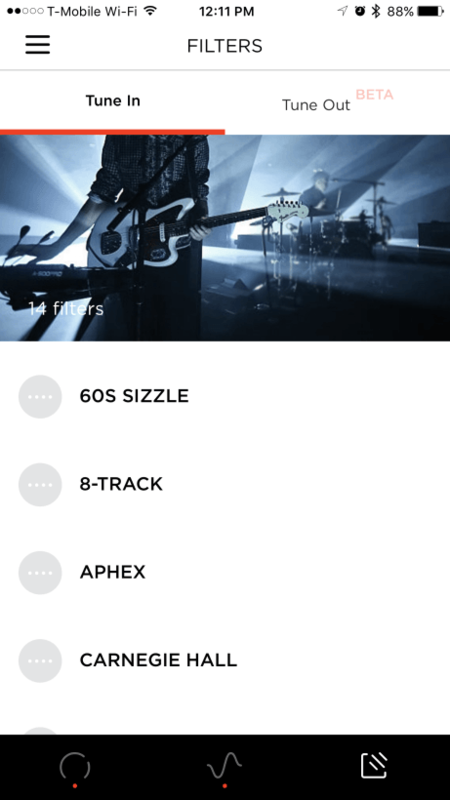 Elsewhere in the app, you can do things like reduce outside noise with a single tap, or choose from several presets to hear music the way you want to. With an outward facing microphone, Here processes sound using a series of signal processing algorithms. Those algorithms target specific frequency ranges, which are fed through a digital signal processor (DSP). The DSP communicates with settings in your app to alter that sound. If you’re boosting bass, for instance, the DSP will know that and highlight low frequencies. Once the DSP has properly filtered the sound to your liking, it resends it to your ear and a second microphone dedicated to catching any errors. If the DSP maybe didn’t catch some hissing you were trying to filter out, the error mic may catch that and let the DSP know about it so it could correct for that. All this happens quickly, too. It feels real-time, and Here says it has less than 30 microseconds of lag. If you’re thinking you can grab a set of Here earbuds and stream music wirelessly, think again. Though the earbuds connect to each other and your phone via Bluetooth, they don’t stream any audio, nor are they hearing aids. Here is for real-world situations. While you can tune-out (and you probably do) using headphones, Here wants you to continue being engaged and involved with the real world — but filter out the nonsense. Kraft does admit Here is for the “discerning listener,” so not everyone will find it useful. It’s clearly going to entice audiophiles, and Kraft says it should be used for “a few hours” rather than all day (battery life on my Here units was about five to six hours). To that, Here is planning a massive presence at Coachella, where hundreds of attendees will be using Here so the company can get feedback on their experience. But Here isn’t just for music lovers. 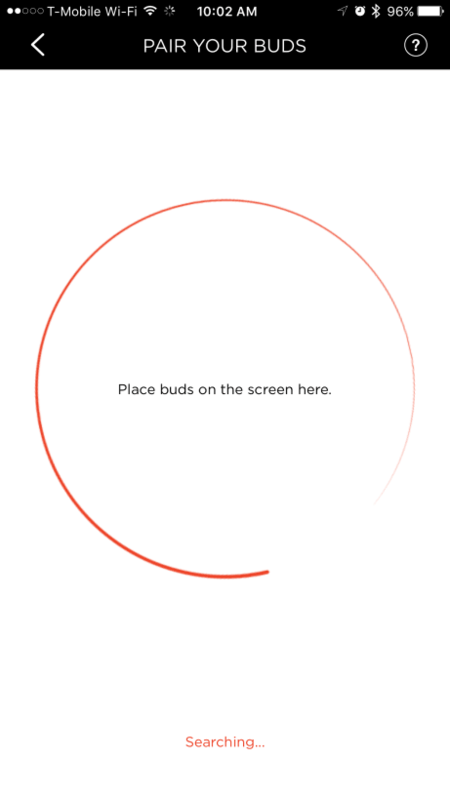 A big part of its missive is to help get people like me finding favor with the earbuds. My home office, where I spend most of my day, is admittedly quiet. There’s not much noise to block out, or ‘active listening’ I need to engage in. I am close to an Interstate, though. When I go for walks, the white noise of the highway is ever-present. A nearby shopping center is also noisy with the hustle and bustle of everyday life. In those moments I’d rather not hear everything in the world around me, Here helps. I can walk in peace and not hear the highway, or selectively accentuate the person I’m conversing with in a noisy restaurant. Here was uniquely helpful at a local coffee shop I worked from one morning. I was able to completely filter out the outside world and get really tucked into my work, which is great as someone who always has their head on a swivel. Though fairly large, Here earbuds are still quite comfortable. Without the tug of a cord, Here doesn’t shift around or fall out of place. You wouldn’t want to do any kind of intense martial arts with Here, but they’re great for day-to-day tasks. The actual in-ear portion of Here is probably more comfortable than any in-ear bud I’ve tried, and there are a few different nubs that come with it for customization. Do you want — or need — Here? Need is a tough sell. Want I can argue, though. 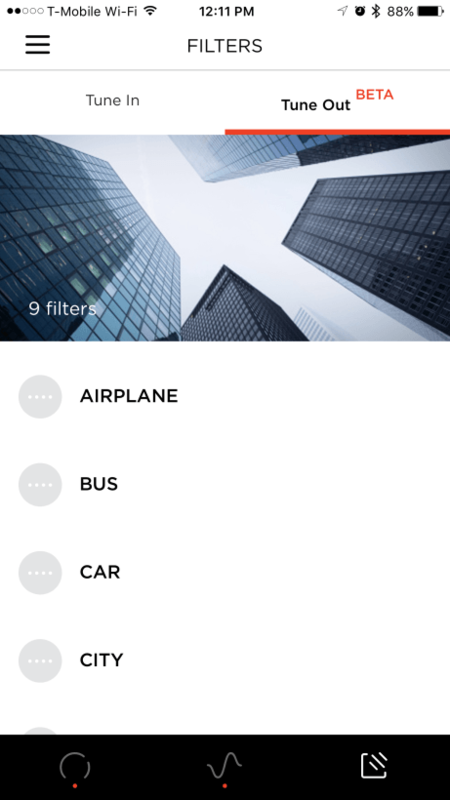 While I initially thought Here was a bit too niche for someone like me, a little time with it and fine-tuning some settings in the app actually made the scenarios listed above much more enjoyable. Here says it can put a volume knob on the world, but I think that’s a bit simplistic. You can use Here as an EQ for your surroundings, or use it as ad hoc noise cancelling. It’s got a few drawbacks, though. Charging via the case means you’ve got a tiny box to lug around if you’re traveling, and Here can’t detect which direction noise is coming from. The two earbuds also can’t be controlled independently. Still, Here did give me that ‘active listening’ it promised, even if it was situational. When I’m not wearing them in the same situations, I’m more aware of noise around me, but not in a good way. As it turns out, an EQ for the entire world is a good idea. Though Kraft says what I’ve tested is “episodic” and a bit niche, his concept of “hearables” — wearables meant for listening — is catchy. I’m much more aware of how — and what — I’m hearing. Maybe that’s how Here will morph from a ‘want’ device to a ‘need’ one. Here sells for $199, but you’ll have to put your name on a waiting list to get them in your ears.